International Women's Day, a global holiday celebrating the economic, political, and social achievements of women past, present, and future is March 8th. To recognize this special and memorable day, we'll be offering bonus rewards to players who recharge. Details below! All players who recharge the amounts listed below will the the "One Time Rewards" on their first recharge of each amount during the event. All players who recharge the amounts listed below will get the "Recurring Rewards" each time they recharge. Note that your recharge amounts are NOT cumulative. Female players will get an additional Mystery Gem Pack x1 bonus on their first recharge of each amount during the event. Rewards will be sent via mail on March 10th. Let's consider an example female player named Amanda who recharges $299.99 once and $99.99 twice on March 8th. 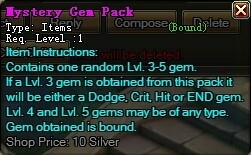 For her first recharge at the $299.99 amount, she'd get the "One Time Reward" Mystery Gem Pack x4, a Mystery Gem Pack x1 bonus because she is female, and the regular reward of Mystery Gem Pack x1, Mount Soul Essence x1, Pet Soul Essence x1, Sprite Soul Essence x1, and 300,000 Silver. For her first recharge at the $99.99 amount, she'd get the "One Time Reward" Mystery Gem Pack x2, a Mystery Gem Pack x1 bonus because she is female, and the regular reward of Mystery Gem Pack x1, Mount Evolve Pill x2, and 200,000 Silver. On her second recharge at the $99.99 amount, she'd get the regular reward Mystery Gem Pack x1, Mount Evolve Pill x2, 200,000 Silver.